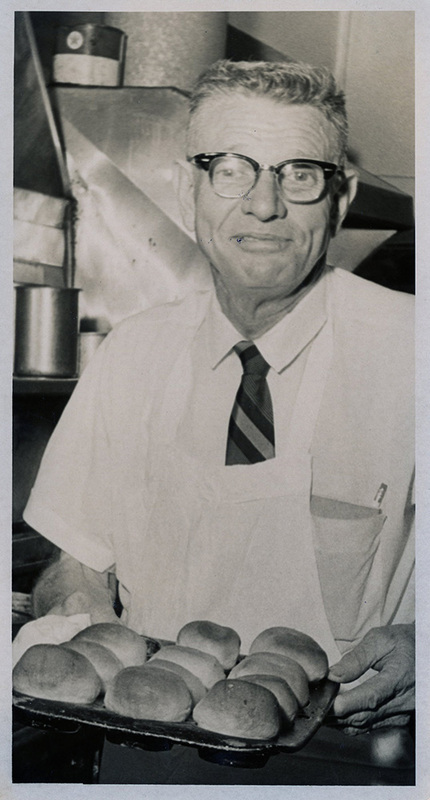 Roy Brown Bertrand Sr. was known as the "Waffle Wizard" and as a statesman among restaurateurs for his long career in the food trade in Waco. Born on ranchland near Eddy in 1909 to Alabama-native Emma Lee Pouncey and Peter Gabriel Bertrand of Matagorda, Texas, the young Roy knew more about sheepshearing than hash-slinging in his youth. The family moved to Waco in 1920, when his father took a job as a night watchman for a textile mill. But Roy had to step up to the plate when his father was injured on the job and could no longer work. To support the family, Roy found a job as a busboy at the downtown Elite Cafe in 1924 and later as a soda jerk in the Palace of Sweets, also in downtown Waco. Despite working nights, he graduated from Waco High School and entered 4C Business College. In the years following high school, Bertrand continued to gain experience in the restaurant industry. In 1929, he got a job at the Gem Waffle Shop on South Sixth Street. Four years later, after President Franklin D. Roosevelt repealed Prohibition, Bertrand joined with brother-in-law Frank Nemmer to open the Night Owl, a honky-tonk roadhouse at Nineteenth Street and Lou Street (now Park Lake Drive). After seven months, he left to run the luncheonette counter at Woolworth's in downtown. In July of 1936, Bertrand opened the B-K Coffee Shop at 125 North Sixth Street with business partner and one-time brother-in-law George Kouvas. Bertrand bought him out in 1941, and Kouvas started another coffee shop, the Victory, a block down the street. Known for its biscuits, Texas ribbon cane syrup, and a breakfast sausage that Bertrand ground himself using his own secret recipe, the B-K operated until the mid-1950s. He told the Waco News-Tribune in an interview that he served more than eight hundred biscuits and at least one hundred waffles each day. In 1951, the entrepreneur opened a second location, Bertrand's Restaurant, at North 25th Street and West Waco Drive. Bertrand planned every detail of the new location for efficiency and ease of operation for his employees, also taking into consideration its prime location. Publications of the time touted that end of Waco Drive as "the new superhighway through Waco,” sure to bring many hungry customers through the café. 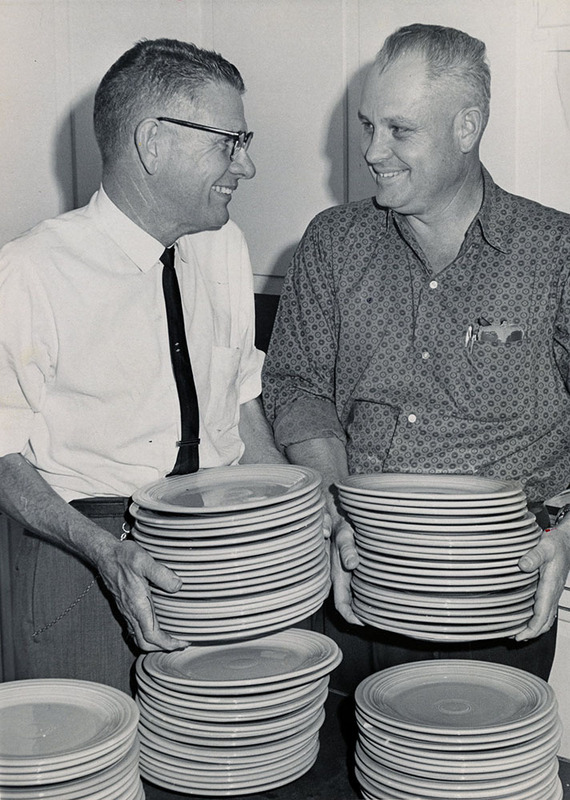 In 1953, the newly chartered Northwest Waco Rotary Club began holding its weekly luncheon meetings at the popular spot. 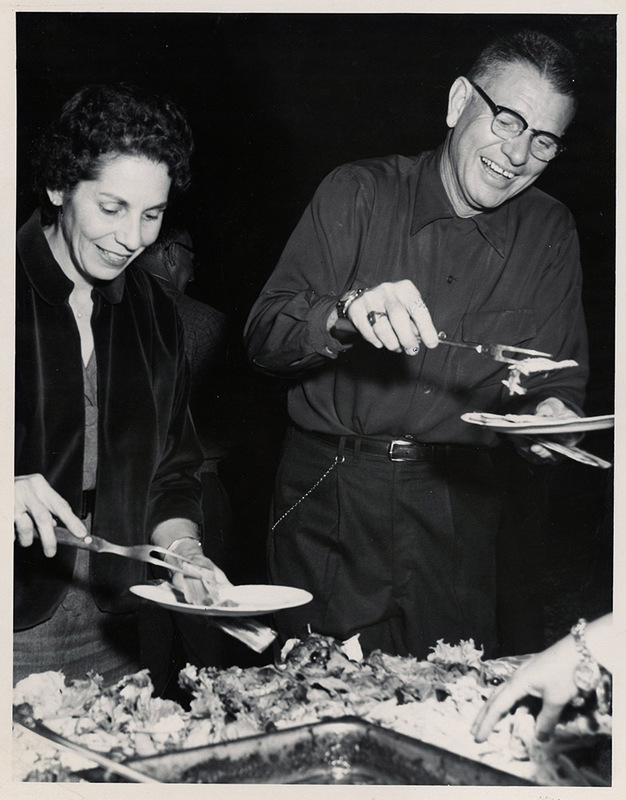 Throughout all the busy years, Bertrand ensured that his restaurants remained a family business. He married Gladys Nell Nemmer in 1932 and the couple raised two sons, Roy B. Jr., known as Brown, and John David Bertrand. Brown went to work for his father in 1958 and started his own family. His daughter, Jennifer Bertrand Heinz, recalled donning a hostess's apron at a young age and learning customer service at her grandfather's knee. Bertrand’s Restaurant continued to serve Wacoans faithfully until the mid-1970s, when Roy and Gladys retired. Terri Jo Ryan, “Roy Brown Bertrand Sr. ,” Waco History, accessed April 19, 2019, https://wacohistory.org/items/show/127. A version of this article originally appeared in the Waco Tribune-Herald. Ryan, Terri Jo. “Waco’s Waffle Wizard: Roy Bertrand Sr.” Waco Tribune-Herald. June 11, 2007. “Restaurant Group Cites Roy Bertrand.” Waco Tribune-Herald. October 3, 1954.